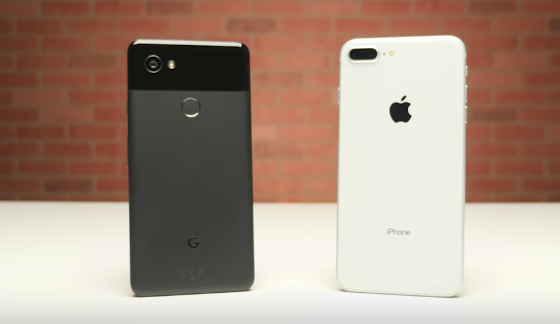 How does Apple’s iPhone 8 Plus compare to the Google Pixel 2 XL? YouTube channel PhoneBuff has shared a video putting both of these phones to the test, in their well-known app-opening and re-opening speed test. When it comes to specs, the iPhone 8 Plus has the A11 Bionic CPU and 3GB RAM powering the 1920×1080 display in iOS 11.0.3, while the Pixel 2 XL has a Snapdragon 835 CPU and 4GB RAM and its 2880×1440 display, running Android 8.0.0. These tests aren’t exactly scientific but rather a casual observation at how both phones handle multitasking across a variety of simple and more resource-intensive apps. At the end of the day, the iPhone 8 Plus just narrowly beat out the Pixel 2 XL by five seconds overall. The test sees each phone open a list of apps, then revisits them for the second lap. Total time for the iPhone was 2 minutes and 5 seconds to complete the test. PhoneBuff says they did the test a few times and saw consistent times for the iPhone 8 Plus. 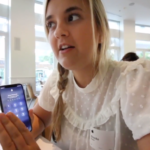 Earlier, PhoneBuff shared a clip of the iPhone 8 Plus versus the Galaxy Note 8, which Apple’s smartphone lost, which some blamed on the version of iOS 11 used in that test. Yesterday, it was reported Google was ‘actively investigating’ reports of Pixel 2 XL screen burn-in cases. The Google Pixel 2 XL starts at $1159 CAD for the 64GB model, while the 64GB iPhone 8 Plus retails for $1059 CAD.